It is with great sadness that IHC Global shares the news that our Board Co-Chair Bob Dubinsky passed away on Wednesday. With a distinguished career in international development, Bob was an ardent champion for housing and better urban living conditions worldwide, particularly for those living in slums and informal settlements. He was a guiding light at IHC Global and will be greatly missed by us all. A memorial service is being planned for July to take place in Washington, DC. This Wednesday was World Refugee Day, and this year, it made an urban splash. In celebration of the day, more than 50 mayors from around the world, including Amsterdam, Barcelona, Berlin, Los Angeles, Manchester, Mexico City, New York, São Paulo and Sydney, called for more local authorities to stand with refugees and welcome them into their communities. With more than 60 million people displaced around the world, the refugee crisis has been made a critical urban issue, as more refugees than ever are making cities their destinations. Read more here. The International Water Association has released 17 principles which cities should follow to become water-wise. The principles are broken into four categories: regenerative water services, water sensitive urban design, basin connected cities, and water-wise communities. Read more here. India is currently facing the "worst water crisis in its history," and government experts say that nearly 600 million people may be at risk of acute water shortage. The crisis is expected to get worse, and the government think-tank that conducted the research warns that 21 cities may run out of groundwater by 2020. The Harvard Joint Center for Housing Studies, and IHC Global member, has released State of the Nation's Housing 2018 Report. The report offers both good and bad news: while the quality of housing in the U.S. has improved greatly over the passed three decades, skyrocketing housing costs have kept homeownership at a low, and growing income inequality only exacerbates inequitable access to housing. Read more here. Slums contain some of the worst living conditions on earth, but the people who call them home try to make them something more than that. 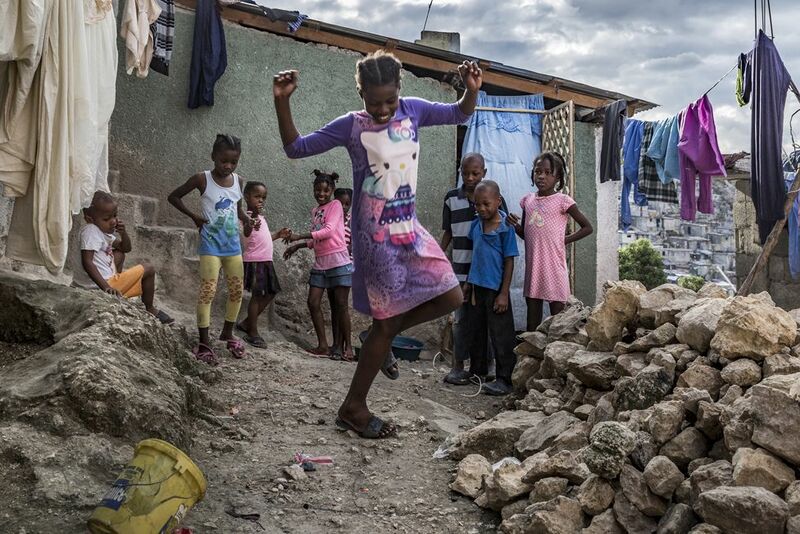 Take the "colorful" city slum of Jalousie in Haiti, where more than 80,000 people make the best of their surroundings, banding together to create a tight-knit community. See a closer look at their daily lives here. IHC Global Communications Officer Rebekah Revello has penned a blog for our partner, Habitat for Humanity's the Solid Ground Campaign, about IHC Global's project measuring access to property rights in Uganda, and the effect that access has on female empowerment. Read it here. Read the project report, Using Data to Support Women's Rights, Property Markets and Housing Rights through a Gender Equity Lens, here. What does the OGP subnational pilot program look like? Currently, there are 20 subnational entities working to create more transparent practices. The cities and regions are of a diverse range of size, development patterns and economics; there are several big cities, including Paris, Madrid, Seoul, Buenos Aires and Sao Paulo, and some municipal principalities, like Sekondi-Takoradi in Ghana and Kigoma Ujiji in Tanzania. Cities have to be in a country participating in the OGP, but they do not have to ask permission to be in the partnership from their national governments, as policy priorities often differ between the local and national levels. The OGP local program mimics the national program, where each partnership national action plan on varying topics, such as fiscal transparency, lobby transparency, data, feedback loops and service delivery. However, there are a few key differences: local governments have a competitive process to get in, as opposed to national programs, which are all let in. This is because the partnership is only by 40 people, and right now, Lane is the only representative engaged in the local program. The local partnerships are also only allowed to have 3-5 commitments, while national governments are allowed to have basically however many they want, because ensuring accountability over each commitment takes a lot of money and time, and before growing the local program, OGP needs to encourage the most ambitious commitments. Kathmandu is completely covered in dust. Citylab says that little vehicles will take over cities. Should we be scared? Don't forget: join the University of Pennsylvania and urban policy experts for a discussion on the status of the SDGs on June 25th.